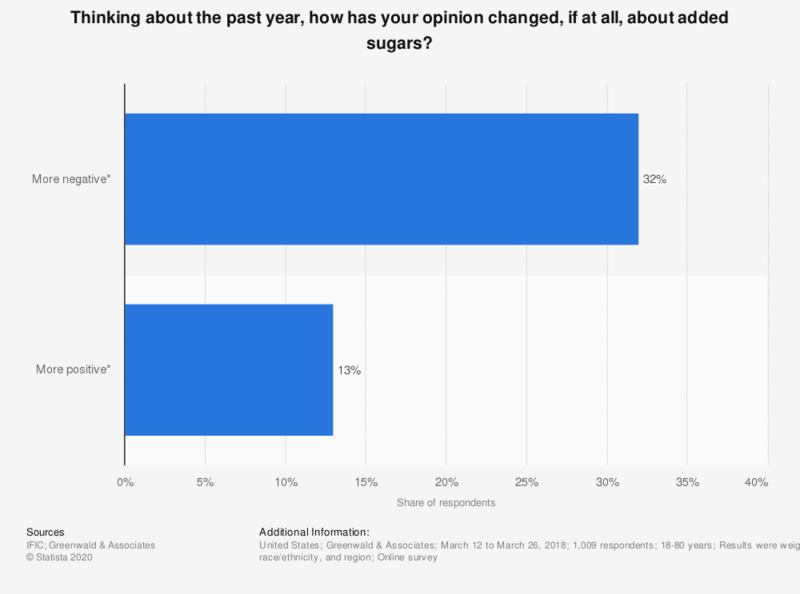 The statistic shows the results of a survey in which U.S. adults were asked if and how their opinion of added sugars in foods had changed in the past year. According to the survey, 32 percent of respondents had a more negative attitude towards added sugars than the previous year. *A combination of respondents who answered much more or somewhat more. What impact would the following have on your willingness to believe new information about food or health?